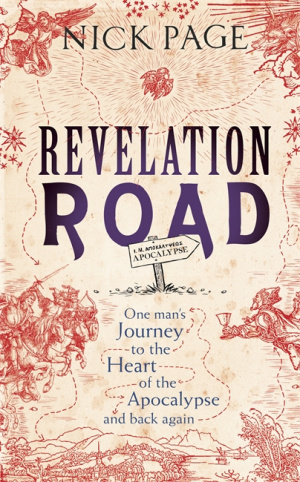 In Revelation Road, Nick Page gets to the bottom of what this mysterious last book of the Bible is really all about. The only way to this is reckoned, was to go on a Revelation Road Trip to all those places where, 2000 years ago, fervent believers were quite literally waiting for it all to end. And yet we’re still here (so far). So why is that? The author of ‘A Nearly Infallible History of Christianity’, ‘The Tabloid Bible’ and ‘God’s Dangerous Book’ takes you on a road trip to Patmos via the ruined cities of the seven churches of Revelation and seeks out a revelation for himself - and one or two for you. Nick explores the people and places behind Revelation, the man who wrote it, why he wrote it, who he wrote it for and what it means for us today. Nick skilfully combines history, commentary and imaginative reconstruction on the greatest journey of all time... or is it a journey to the end of time? On the way Nick Page helps you understand what this last book of the Bible has to say about heaven, hell and the mysterious if slightly scary four horsemen of the apocalypse. He looks at past prophecies of the final doom and asks why we’re still here... apparently. Even though the end of the world hasn’t come, Nick wonders how long we’ll have to wait and how many more conspiracy theories, films, books and sermons we’ll have to endure while we’re waiting. And why are we so bothered anyway? So for an engagingly wise and wry look at why the end of the world never turns up when it's supposed to - and why it matters that we take it seriously, Revelation Road gives you the key sites from the original book, the history of apocalyptic literature, the weird, wild and wonderful truths of 2000 years of waiting for the end. 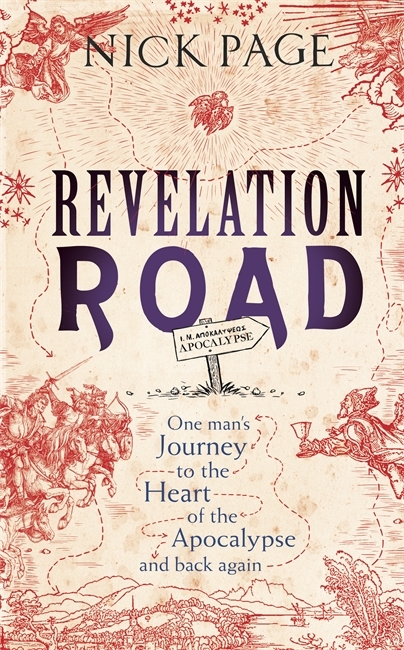 Revelation Road by Nick Page was published by Hodder & Stoughton in September 2014 and is our 14200th best seller. The ISBN for Revelation Road is 9781444749663. Be the first to review Revelation Road! Take a peek at some articles related to Revelation Road. Got a question? No problem! Just click here to ask us about Revelation Road. The Bible ends with a book of extreme visions that two millennia of history have done little to explain. Now Nick Page travels to the key sites from the original book, and journeys metaphorically through the history of apocalyptic literature, unpicking the weird and wonderful truths - and wild fabrications - that have driven the creation of multitudinous sects down the centuries. Culminating in a month on Patmos itself, the key question is: will Page discover the secret truth of the apocalypse, or be driven mad by his need for Marmite?